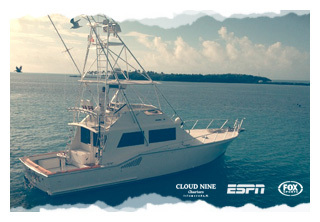 The CLOUD NINE is a South Florida custom built 48 foot sportfish powered by MAN diesels. She is custom rigged and serves us as an excellent blue water fishing platform. The interior of the boat is air conditioned and comfortable for six people. We take pride in a clean boat and a well appointed salon for your enjoyment. We run a tight ship! We have got all the fishing toys. We feature Gloomis fly, spinning, trolling and teaser rods. All with Tibor, Finnor, Quantom, Shimano reels, you might even get to fish some prototype stuff during your trip with us. Why all the great tackle? We love to catch big fish on light line. We catch our own live bait everyday so it is fresh and ready to catch your fish. On my boat You are the one who catches the fish. Our job is to guide you to some great fishing no matter the level of your skill. 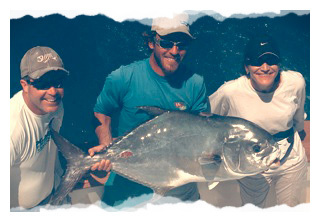 We entertain anglers of all levels throughout the year and enjoy Everyone. Because we are blessed with a rich, year round fishery here in Islamorada we try to center our fishing efforts on what is biting while you are here. Our main goals are to have FUN and catch fish. If you have a specific target species in mind we are more than happy to focus our efforts on catching them for you. If you have your own tackle that you prefer you are welcome to bring it along. Our charter services included everything you will need for your trip except your lunch and drinks. Please come and join us for the Islamorada fishing trip of a lifetime. You are welcome to give me a call and discuss what trip is right for you and what will be biting when you are here. Go here for my contact info or here for Reservations. If you are stuck and can’t come to the Keys right now check out my Islamorada Fishing Report. I update it every week with new stuff. It will keep you dialed in on what’s biting around here and ease the sting of not being on board the CLOUD NINE catching fish... Stay Tuned!